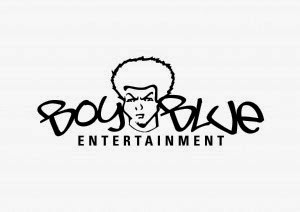 Do You Have What It Takes To Dance with Boy Blue Ent? If you’re a Dancer with good technique and knowledge in relevant dance styles including Street, Popping, Krump, Breaking, Locking, House and Kung-Fu, have teaching experience, excellent communication skills and experience of working with groups of young people, this is THE opportunity for you! Selected artists will train with Kenrick ‘H20’ Sandy and Michael ‘Mikey J’ Asante, Creative Directors of internationally renowned, Boy Blue Entertainment, to deliver a programme of workshops and activity within their local community. Take part in this project and you’ll gain the opportunity to be involved with The Five and the Prophecy of Prana, a Boy Blue Entertainment explosive narrative dance work integrating hip-hop, manga and martial arts. Inspired by Manga, this new production, by Barbican Artistic Associate Boy Blue Entertainment, is steeped in the visual identity and quirky characters central to the comic book genre. This is a paid opportunity and accommodation, travel and per diems will also be covered for the training residency, which will take place in London – fees outlined in Information Pack. Short-listed applicants will be required to attend a training/audition day on Thursday 22nd May with successful applicants required to stay on for the second day of training, on Friday 23rd.